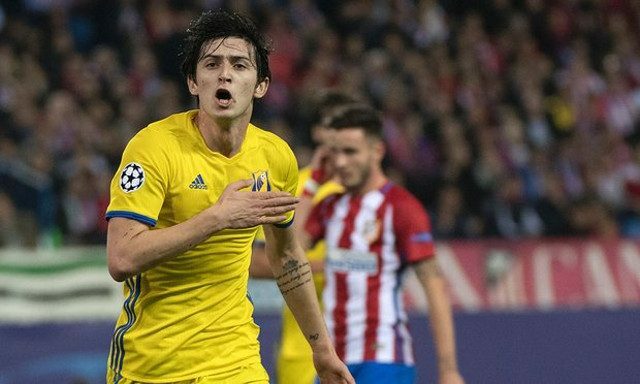 Remember early on in Jurgen Klopp’s tenure when we were continually linked to ‘The Iranian Messi,’ Sardar Azmoun? Well he’s finally met Liverpool’s German manager – this time out in Marbella where we’re undergoing some warm weather training before next weekend. There’s no indication that Azmoun is still a target or as to why he was in Spain, especially as he was wearing his Rubin Kazan gear. But perhaps he’ll be signed as a backup this summer after all? Daniel Sturridge and Divock Origi will leave, while Danny Ings and Dominic Solanke still haven’t scored a goal this season. Azmoun isn’t clinical himself though and we’re not sure he’d add much to the forward line.